The gift of sight is probably the most cherished of all our five senses. For people who don’t have perfect vision, and there are a lot, there is hope. If you are sick and tired of wearing contact lenses or eyeglasses, laser assisted in-siku keratomileusis may be the answer. Better known as LASIK surgery, this procedure has helped countless people correct their vision. It also has an awesome track record, and the vast majority of patients are more than satisfied with the results. The procedure is known as a refractive type of operation. This means it is an eye surgery used to correct the refractive condition of the eye, and eliminate the need for corrective aids. During the operation, the doctor makes an incision in the cornea, causing a flap. The cornea is the clear front part of the eye, where light goes through and gets focused onto the retina, located at the back of the eyeball. Then the surgeon will use a laser to reshape the cornea, repairing the focusing problems within the eye. The biggest advantage of LASIK is that it actually works. Approximately 96% of patients have their vision corrected properly. There is also very little pain associated with the procedure, due to the numbing drops used by the doctor. The effects are usually immediate, or take one day at the most to kick in. The reduction in the dependence on glasses or contacts is huge, eliminating them completely in most cases. Another benefit is that no stitches or bandages are required, allowing the patient to go about most of their normal business. 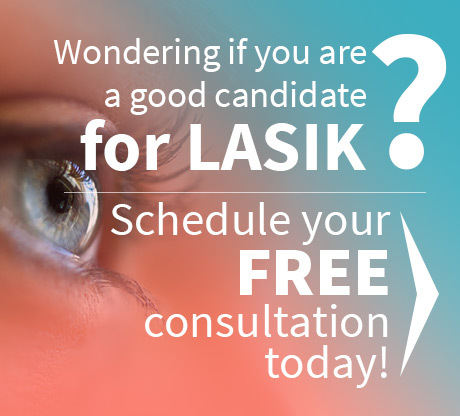 Who Should Get LASIK Surgery? LASIK surgery is the best answer for people who have a mild to medium degree of nearsightedness, farsightedness, or astigmatism. Nearsightedness — This malady is also known as myopia. It occurs when the patient can see nearby or close objects clearly, but sees distant objects as fuzzy or blurry. Farsightedness – This condition is known as hyperopia. This is when the patient can see faraway objects clearly, but can’t see close up objects in the proper focus. Astigmatism – Patients with this problem cannot see nearby or distant objects clearly. Their entire scope of vision is fuzzy. Another condition which hits a lot of people over 40 is called presbyopia. When this happens, the patients have difficulty in seeing nearby objects. This makes tasks such as reading fine print, or performing other close up jobs harder. If not corrected, presbyopia gets worse when the patient gets to be 65 or older. LASIK surgery cannot correct this, but it will not make it worse. All in all, LASIK surgery is an excellent and popular choice for a huge majority of people with vision problems. If you are looking for professional and well respected LASIK doctors Houston has one of the best. 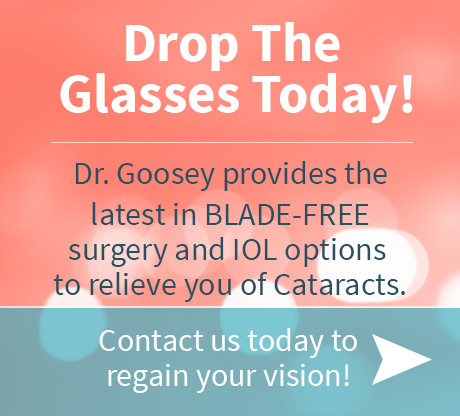 Dr. Goosey is a top notch eye specialist, who has performed copious amounts of procedures. Make an appointment or book a consultation with him for further information.